To keep the FTSE 100 Index in accordance with its purpose, the constituents of the index are periodically reviewed. The reviews take place on the Wednesday after the first Friday of the month in March, June, September and December. If any changes are to be made (i.e. companies ejected and introduced) these are announced sometime after the market has closed on the day of the review. The action of leaving or joining the index can have a significant influence on the share price. When companies leave the Index the share price often falls in the period immediately before the ejection and then rises afterwards. This might be explained by index-tracking fund managers selling the company in anticipation of it leaving the index, and then the shares bouncing back after having been artificially oversold. 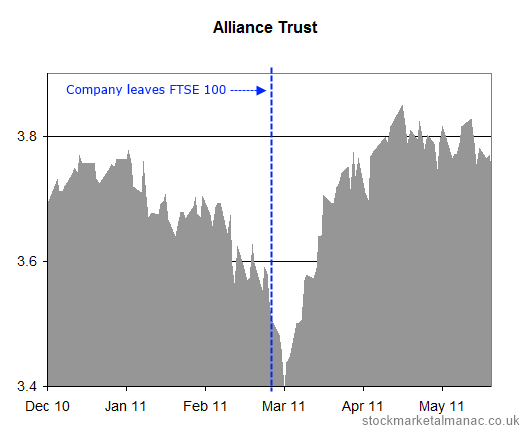 The following chart shows the impact on the share price of Alliance Trust when it left the FTSE 100 Index in March 2011. The index-leaving effect is not always as marked as that in the above case (for example, the price movements can be much shorter-term than was the case for Alliance Trust), but a similar reaction can be seen in many companies leaving the index. When companies join the Index the share price often rises in the period immediately before joining and then is flat or falls back slightly afterwards. This might be explained by index-tracking fund managers buying the company in anticipation of it joining the index. 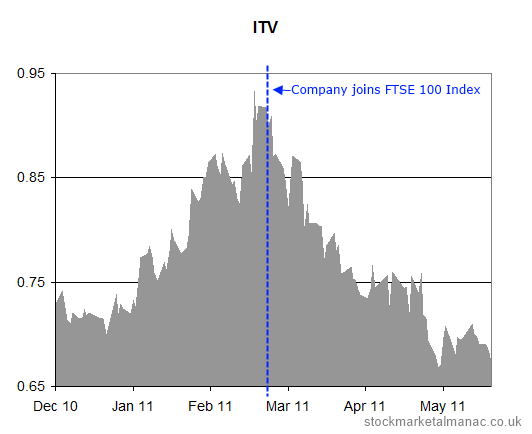 The following chart shows the impact on the share price of ITV when it joined the FTSE 100 Index in March 2011. Again, as before, the index-joining effect is not always as marked as in the case for ITV, but a similar behaviour can be seen in many companies joining the index. 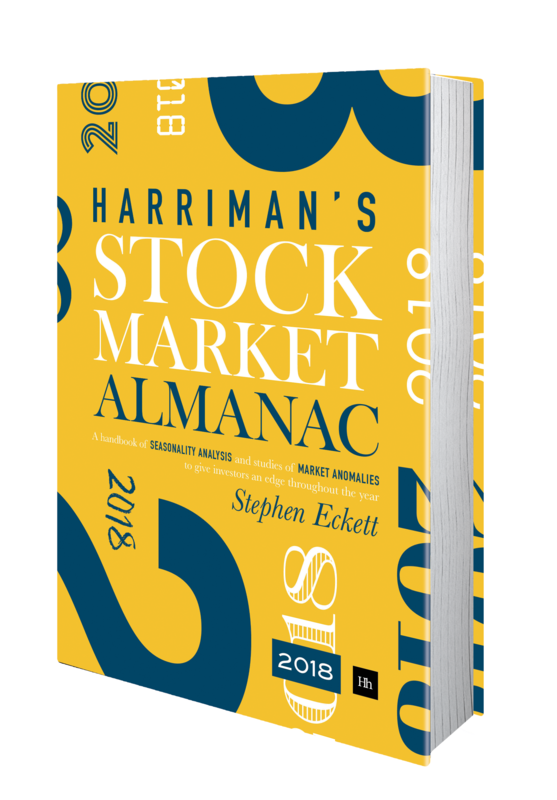 Further examples of the behaviour of share prices for companies leaving and joining the FTSE 100 Index can be seen in the Almanac.